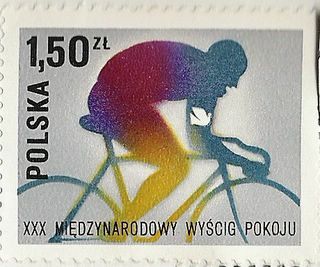 Bicycle stamp from Poland. Found in my jar of old stamps that are a byproduct of doing mail art over the years. This one from around 1989. Peace and bikes.